Mike serves on the Board of Directors of Music Changes the World and the Foundation for Small Voices two non-profit organizations which actively use music to improve life around the world. America’s new pop princess, Shara Strand, is a singularly skilled artist. From her debut EP, “Born Tonight”, came her first single release — written by Shara, herself — “Jekyll or Hyde.” The song is now available in Pop and Live Acoustic versions, with soon-to-be-released Dance Remixes by D1 Music (Peter McLean and Keith Kemper) and other internationally renowned FIX DJ/Remixers as Wayne Neuman, Mike Rizzo and Paul Goodyear. The song may also be experienced with Shara’s Official Music Video. Shara will begin touring a number of US Markets in 2013, helping more and more listeners to discover her. “I Will Carry You” is currently planned for release by the spring of 2013. It is a song of unconditional love, support, caring and loyalty. Obviously that sentiment applies to the loving bonds and feelings from one person to another. But our caring as human beings extends beyond just to each other. Shara, for example, cares deeply about the welfare of earth’s animals, in general, and specifically her own adorable Pomeranian, Coco, who recently celebrated his first birthday. 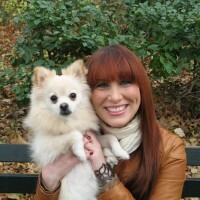 Shara — and the entire D1 Music team — are gratified to be able to join Mike in using the launch of Shara’s second single to help bring further attention to, and to help raise funds for, the highly respected American Humane Association. The mission of American Humane Association is to ensure the welfare, wellness and well-being of children and animals, and to unleash the full potential of the bond between humans and animals to the mutual benefit of both. 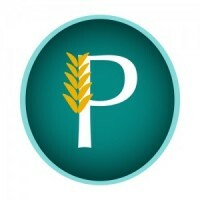 Its goal is to measurably, demonstrably and significantly increase the number of children and animals who are protected from harm – and the number of humans and animals whose lives are enriched – through direct action, thought leadership, policy innovation, and expansion of proven, effective programs. Since 1877, the historic American Humane Association has been at the forefront of every major advancement in protecting children, pets and farm animals from abuse and neglect. Today they also lead the way in understanding human-animal interaction and its role in society. The AHA reaches millions each day through groundbreaking research, education, training and services that span a wide network of organizations, agencies and businesses. It is Shara’s hope, however, to encourage her fans to get involved directly in supporting the organization and its goals. In addition to sharing their song royalties from “I Will Carry You” with the AHA, Shara and the D1 Music team are planning a very engaging social media awareness campaign focused on the song and its partnership with the AHA. Part of this initiative will be a fun photo contest open to fans across the country … with financial contributions made by Shara and the D1 Team specifically in honor of the winning contestant and their pets, who will be recognized by name. This is about a song I’m proud of … a composer-partner I’m proud of … and a cause that I consider valuable and worthy. Jim Papoulis is one of the most talented people I know. He is a world-class (and in his field, world-famous) choral music composer, but he is not the slightest bit vain about it. I met Jim in July of 2000, when a production company hired us to create a song for a Campbell’s Soup sales meeting. One month later, I sent him a letter with a follow-up on my suggestion that he and I consider writing songs together … for the public. After writing songs about computers, pharmaceuticals, soup and even ham (yes) what I discovered was … I love writing songs! Jim’s wife, Stephanie was an exceptionally brilliant person. You didn’t have to be in her presence long to feel that. I was a bit intimidated by her, actually. She was so attractive, so charismatic, so confident and sure and … especially … so very smart. And she believed in Jim and me. (Stephanie called him “Jimmy”.) She had such confidence in us and in what we could achieve, I couldn’t help but be motivated. She made me believe, even more, in myself. Many people I’ve heard from have expressed the same sentiment: she was an inherently inspiring leader with an impact on countless lives. Stephanie was 45 when she died in 2007 of Creutzfeldt-Jakob Disease (CJD.) This terrible degenerative neurological disorder (brain disease) is incurable and invariably fatal. The CJD Foundation is widely honored and appreciated for the support, information and guidance it offers to those dealing with CJD. I know that they were helpful to Jim and his family. Well, now … it’s been five years since the loss of Stephanie. Jim and I have written a new choral song together — “I Know”. Its words, for me, are true. It doesn’t guarantee “sunshine” at the end of any story. But the spirit of possibility through pain … of hope through whatever sorrow … is how I want to face sadness. As best I can. At this moment, Sandy Hook Elementary School is on my mind. My words feel puny, but I believe in them still. The song is performed by the Young People’s Chorus of NYC — an extraordinary group of multicultural young singers whose lives are positively transformed by being a part of it … even as they earn awards for artistry around the world. Jim decided to make the song even more personal. His own three children — each genuinely extraordinary — now sing the opening lines. Caryl (“Piper”), age 19; Claire, age 17, and Demitri, age 12 … all are accomplished singers and musicians in their own right. 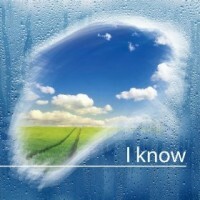 “I Know” is now available on iTunes, and will be published as sheet music in the spring. It’s a song that gives me a poignant kind of joy. I am honored to be Jim’s partner … and we are both honored, in turn, to partner with The CJD Foundation. Click here to learn more about this very important musical project. To help build the demand for it, especially in young adults. You can read the article at your leisure, but I wanted to share just a brief observation about one aspect of speechwriting and coaching, since I do both. Most of my clients are corporate and I always encourage them to be real. As real as they can be … and as personal as they can be … in what they say and how they say it. Of course, there are “real world” limits to what can be said “publicly” in any organization. And every organization — virtually every person — wants to impart as positive a spin as possible on whatever they wish to communicate. The paradox of delivering an effective speech is that one must be as authentic as possible, on the one hand. Audience members don’t ponder their own mindsets as I do, but I happen to know that they want to feel a genuine connection to what’s happening and being said. No one wants to sit through words that feel empty of meaning, as though the presenter were merely a “reader” with no connection to the idea behind the words being delivered. Giving a speech is simultaneously “performing” … so you need to be real while being “bigger than life.” That is the paradox. Now — having been quoted as a speechwriter in an online political forum, brings to my mind that, as a voter, I would like to feel as though the person seeking my vote will be real enough to allow me to feel it, to sense that she/he actually means what is being said. Reality, after all, is the only basis on which I would ideally like to base my vote. Well guess what? As a corporate employee, I also would want my executive leader to be genuine in her/his remarks to us at an employee meeting. Certainly, I want and need to feel as though I can trust what’s being said. that executive, in general, will be far more successful. And by the way, in my observation, generally happier, too. Speeches … presentations … these are highly visible and influential ways in which an executive’s personal “brand” is shaped. Some presenters — whether in business or in politics — are more able than others to show their real selves. More able than others to connect with us, even on the back row. There is definitely some “risk” involved in being real. But, as I’ve seen many times, there can also be great power in letting one’s true colors shine through in all one says — even on-stage. Your goal: be convincing/compelling … with zero notes. You want your comments to feel as personally authentic as possible … while effectively and credibly achieving a specific impact. The number one question for any communication: what is the single most important Take- away you want to leave in the minds of your audience? That’s what you need to keep in mind as you structure the framework discussed below. You should also have in mind a desired length of time not to exceed … and then be sure that you design your message, or content flow, so it can comfortably and appropriately be delivered within that constraint. What is their mindset before you say Word One? What is the mindset you want to leave them with at the end? And/or the thought or knowledge you wish to implant? The more natural your remarks can feel as you deliver them, the more convincing you will be and the more authentic your audience will feel that you are. That makes your framework … the thought structure of your remarks … significantly more important than in a scripted speech, in which there are carefully planned transitions, with every word already chosen. Organize your content ahead of time so that “A” flows naturally into “B” – again for you, personally. “A” makes you think of “B”, and “B” leads you to “C”, etc. If you structure your message flow in a way that makes sense to you, you’ll be much less likely to wonder, in front of an audience, what you’re supposed to be saying next! The more naturally your remarks flow structurally – for your particular way of thinking — the more effortlessly and automatically you’ll know what to say, moment by moment, when you are LIVE, under pressure. As is always true in a presentation, beginnings and endings are especially important as your first and last chance to make an impact on your audience. Think through what kind of “mood” you want your opening and your closing each to convey. What is the “journey” (even a very brief one!) you want your audience? Then plan your content accordingly. If your talk is meant to be heart-to-heart, ‘real’ … then you certainly don’t want to stand behind a podium. Stand center stage and be sure that, as you talk, you address your remarks and your attention to every corner of the room. No wandering! Stand in one place, even as you turn your body to face and take everybody in. Many of the tips that help a scripted presentation work apply to non-scripted presentations, too – including working in your mind to make every rehearsal feel like “the real thing” to you. Don’t hassle yourself if, each time you rehearse – or when you deliver it to an audience – your phrases come out slightly different each time. That is real, spontaneous life-in-the- moment. Have you thought through your message ahead of time? Do you know its flow? Does it address the audience mindset (starting and finish?) Is it structured to help you stay within your time guidelines. If the answers are, “Yes!”, then just deliver your remarks with the full awareness that you mean them. I promise you this — I learned it in my corporate career, and I see it over and over in action with the executives I coach: audiences want a real connection. Whoever you really are … people want to know that it’s you who is addressing them … with your ideas, not anyone else’s … and that you truly mean what you say. So whatever your personality happens to be — from shy to exuberant — be true to yourself. Audience can smell a fake. But always push yourself to be “bigger” on-stage — still the real … still yourself, only bigger — than you ever would consider being off-stage. And don’t rush! Take the time you need to feel what you are saying. They’ll feel it, too. On the one hand, authenticity is everything. Being real. In touch, in the moment, with the meaning of what you are saying. On the other hand, when you give a presentation, you are also “acting” … “manipulating” … working to cause your audience to believe and feel as you intend them to. Simple is sometimes the best! The sight, and even sound, of your visibly “Flipping” them detracts from the illusion you wish to subtly foster in even the unconscious minds of your audience: that you are speaking from the heart, not reading from text. Whether standing at a podium or sitting at a table, position your stack of un-stapled pages on the right. Slide the top page – First page of the script – over to the left. You’re now viewing page 1 and page 2 together … giving you a larger “window” onto your own message. Then, in presentation or rehearsal (which should simulate delivery as closely as possible,) when you Finish with page 1, slide page 2 over on top of it, now revealing page 3 on your right. And so on … always seeing two pages at once. Always being unobtrusive – silent and ‘invisible’ – as you present your message from text. You want to rehearse your text so often (in the right way – see below) that you come to know the material well enough to be comfortable and un-strained … able to look up from the page and finish a sentence with audience contact before looking back down for the next cue. What’s very important – what will make a palpable difference during your ultimate presentation – is the right kind of rehearsal. Of more consequence than the number of times you rehearse is the quality of every rehearsal. The more “real” you make each rehearsal for yourself, the more prepared, con9ident, and effective you will be when you’re actually in front of your audience. Envisioning your audience vividly in front of you – every time you rehearse. Frequent imaginary eye contact with your audience. Being every bit as conscious of your pacing and variety in rehearsal as you would want to be in front of your audience … again, every time you rehearse. The physical gap between you and the audience is also a psychological gap. Your audience will not be aware of it, but this gap will affect their ability to maximally “connect” with you. The literal gap is height – you are standing, they are sitting. And distance (between the front row and where you stand.) To overcome this separation, psychologically, requires you to be “bigger” than your every day self – more energized, more “on”, with more presence … larger-than-life in a way you would never be if you were sitting, cozily, right next to someone. Allow yourself to be “bigger” … with more energy. In every rehearsal, as well as in delivery, the positive impact of your energy needs to close the gap. That includes being “on”, already, even during every second in which you walk up to the stage/podium. Many speakers write little notes to themselves in their texts as reminders during delivery: to SMILE … to show ENERGY … and to be FRIENDLY right from the start, etc. You want each member of the audience to feel as though you’re talking to and connecting directly with each of them … that you’re not as far away as you spatially really are. You want to convey immediately with your voice and demeanor that you are comfortably “in charge” of the space … and that we, your audience, have nothing to worry about. The pilot knows what he/she is doing. If you know your material well enough, you can be confident and comfortable while having eye contact with participants … so they feel as though you’re talking to them, personally – honestly, and with conviction. IF direct eye contact makes you uncomfortable, however, you can “secretly” look at their foreheads … they’ll feel as you you’re looking directly at them. When you observe other speakers, notice — if you haven’t already — those who “wander” on-stage, tracing a restless path as they talk. You will be more effective and convincing – it doesn’t matter if this feels artificial to you (after all, you’re giving a performance) – if you plant yourself like a firm pillar of authority … moving across stage only when there’s an important new point to be made, or a change in mood … and then re-planting yourself. Ever the voice of authority — never a restless or seemingly nervous or aimless wanderer on-stage. The best advice is the simplest: give yourself permission to be yourself. If you talk with your hands naturally, then let yourself. If you don’t in “real life,” then don’t try to fake it on-stage. Audiences crave feeling a real connection with anyone addressing them. Otherwise, you become just part of a “show.” Including your gestures. The most important guidance is, let your mind and your voice be in sync with what you’re saying. If you truly feel and are in touch with the meaning of what you say, as you say it … then your audience will perceive your sincerity. They’ll sense and believe in your genuineness, even as you consciously project it. So in whatever way your hands move when you genuinely feel your own message … that’s how your hands should be on-stage. Don’t try to imitate someone else. He was astonishingly — intimidatingly — good at being his own gigantic self. Instead … when I allowed myself to be “me” on-stage — earnest, sincere, sensitive — and told a true story that had touched me early on in employment at the company … I heard sniffles around the room as the audience of 500 District Managers hung on every word I said. Afterward many told me, it was the best speech they’d ever heard at one of these sales conventions. If I had tried, instead, to imitate my bullying rival down the hall … I would never have achieved that success. In real life, we say some phrases at throwaway speed … but we pause and emphasize other words and phrases when they especially matter. Or when we want to inject added impact and drama. Or when we want to compel attention. That pattern is natural and automatic for everyone: one’s meaning affects one’s vocal delivery. Your delivery should include variations in timing and emphasis. However, your variations must not be arbitrary. Any verbal “color” you add to your delivery should be chosen to help you make your key message points clearer and/or more vivid. Example: The words in all caps in the sample text below are Emphasis Words. The ellipses are very slight pauses that allow the words in between to gain greater importance as your audience hears them. STILL allowing … INNOVATION … to flourish. You want your final words to signal to the audience that you’re done … it’s a moment in which they can applaud with no fear of interrupting you. So if you conclude, “Thank you!”, use your delivery to make a clear, definite, and positive ending to your talk. Want to know the miracle of these best practices? I help clients discover their “inner ham” if they’re not already acquainted, just as I didn’t used to be with my own. Now … introvert that I actually am, I am no longer an introvert on-stage. Whenever I give a public speech, people always assume that I must be a very confident extrovert. And, by now — using the tips I’ve just shared — I really am, in fact, confident. I’ve put in plenty of preparation. I know and believe in my material. And I actually now enjoy releasing my own “inner ham.” These days, “he” has a good time on-stage. It’s all learn-able, my friends. I’ve proven that with my own life. These tips really do work!